Opportunities like this don't come around very often. He boasts amazing ground pounding performance and imposing appearance with super genetic tabulation! 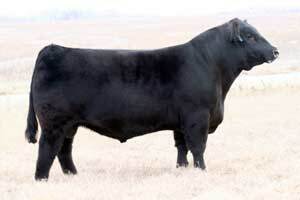 Many top cattlemen call him the most visually commanding Angus bull they've ever seen. Opportunity sold for $32,000 in the Blue Sage Angus Ranch Dispersal Sale, ID. 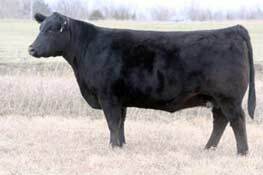 His pedigree laces Pathfinder females and some of the best maternal sires in history. So remember, whether its posing on the tanbark or adding pounds to your calf crop...Opportunity will be knocking.